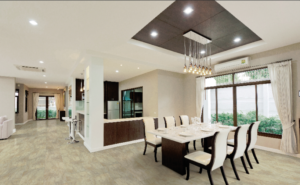 Once you’ve narrowed your choice to the perfect luxury vinyl ‘glue down’ tile for that special room you’re remodeling, your next choice involves whether you want to use grout to install the tiles. You have the option to go either way. 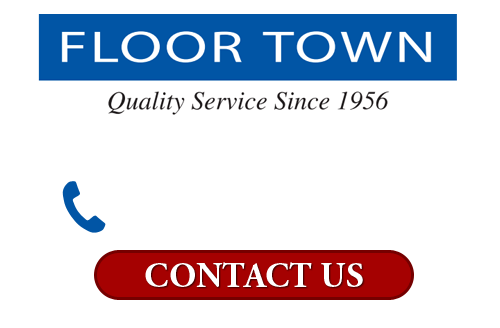 At Floor Town, we encourage the use of water based grout (with acrylic polymers) during this initial process – even if it raises installation costs slightly. As a highly rigid and dimensionally stable compound, Acrylic grout serves as an excellent protector against scuffs and scratches resulting from dirt particle buildup between the tiles – something that often occurs in the absence of any kind of ‘filler’- or from other daily wear and tear. Just think of the rising popularity in Acrylic Finger Nails among women’s beauty salons. Women love them because they last a long time and they do an excellent job at protecting the surface of their nails. Two additional characteristics add to the superior performance of Acrylic over ceramic or Porcelain Tile grouts: Acrylics don’t crack when exposed to varying temperatures and moisture levels, and they are extremely pliable. Both of these characteristics play an important role in maintaining the structural integrity of a luxury vinyl tiled floor. Inevitably, all tiles will move to some degree with the shifting of a home or its foundation. A light application of Acrylic grout between the tiles will be just enough to accommodate some slight shifting without disrupting of the initial pattern of the floor. Whether you choose to install your luxury vinyl tiles with grout or without, repairs are easily made in both cases. Grouted tiles will show off the individual shape of the tiles more readily, whereas an un-grouted floor will create somewhat more of a seamless look. The choice is yours.